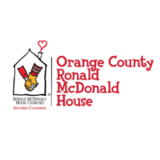 WHAT: Walk For Kids is a 5k walk that is designed to raise funds and awareness for the services and programs provided by the Orange County Ronald McDonald House. Walkers come together for a day of fun, food and entertainment. WHY: Orange County Ronald McDonald House is dedicated to supporting the health and well-being of children, by providing a “home away from home” for families of seriously-ill children who are receiving care in Southern California. Families receive the added comfort of being surrounded by those who understand and can relate to the ordeal of having an ill child. No eligible family is ever turned away due to inability to pay. HOW: Register for the Walk online at www.walkforkids.org and select Orange County Ronald McDonald House, or by email at walk@ronaldhouseoc.org. TEAMS: *New this year: $25 fee for adults which includes registration for one participant in the 2016 Walk for Kids and a participant Tshirt. Families, companies, schools, churches, organizations, EVERYONE is invited to form a team! 3. Recruit co-workers, relatives, friends, schoolmates, etc. to sign up. 4. Set your fundraising goal.